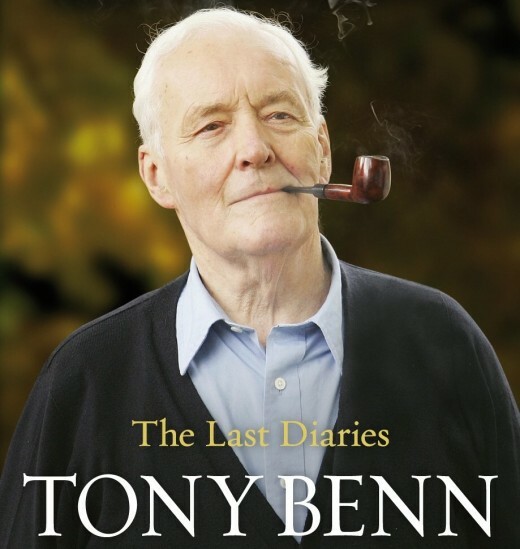 A Blaze of Autumn Sunshine: The Last Diaries by Tony Benn. For those of you who don’t know Tony Benn he was a UK member of parliament, a government minister, President of the Stop the War Coalition, and a man who spent his entire life fighting for peace, social justice, and accountability in public life. Tony Benn chose not to take up his right to a hereditary peerage in the House of Lords after the death of his father in 1960. Instead, he fought against the establishment to secure the right to reject his inherited peerage in order to be a democratically elected member of the House of Commons. He won this battle and remained a member till 2001. This diary covers the years 2007 – 2013 and is the last of Tony Benn’s long series of unique diaries that take you to the heart of British and international political events. Tony Benn was a socialist and believed that essential services (such as health, the postal service, the rail network etc) are best run as not-for-profit and democratically accountable public organizations. Tony Benn was described by the popular sensationalist press as “the most dangerous man in Britain”. He was anti establishment and believed in world peace. Tony Benn knew everyone, and the diaries are full of little personal details of his own life, and his conversations with the huge range of people he met. In addition, he makes witty and insightful comments about them and the events of the day. They are both wonderfully ordinary, and fascinating. Now that Mr Benn has gone I am left with a deep sadness and an uncomfortable feeling. Who is going to talk for, inspire, encourage, and support the ordinary people of Britain and the UN now? Who will be brave enough and has the sense of history, the knowledge, respect, dignity, and courage to speak out for us? Tony Benn was always optimistic for the future. That’s what kept him going, and in turn he kept us all going. I hope I can find that optimism and I shall treasure his inspirational speeches. Thank goodness he left us his diaries. The books below are other diaries by Tony Benn. Thanks for your visit. Please leave a comment below. I urge you to take 10 minutes out of your day to watch Tony Benn’s magic. He was 83 at the time. Here’s Tony Benn’s speaking as always from the heart. Tony Benn encouraged us to move on and find solutions to problems. He once said that this is how he wanted to be remembered.